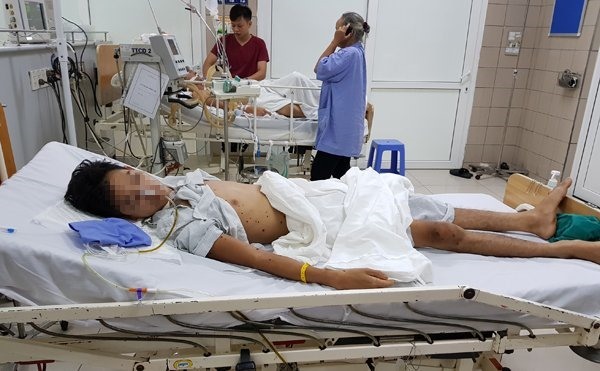 NGHỆ AN — One person died and eight others were injured in two bee attacks in Hữu Kiểm Commune, local authorities in Kỳ Sơn District, the central province of Nghệ An reported. Early on Wednesday afternoon, a group of villagers were attacked by bees as they approached the forest. Six seriously injured victims were moved to Kỳ Sơn District’s health centre while two others were treated at home. By that evening, all six patients at the health centre had showed signs of gradual recovery. At 11am on Monday, local villager Kha Văn Hằng, 33, was also attacked by bees while cutting bamboo in the forest. The victim was rushed to the health centre, but died of serious wounds. Due to the climate, many areas in Nghệ An Province have had bees nesting in forests, gardens, home and even offices. The province has seen many hospitalisations due to bee stings.